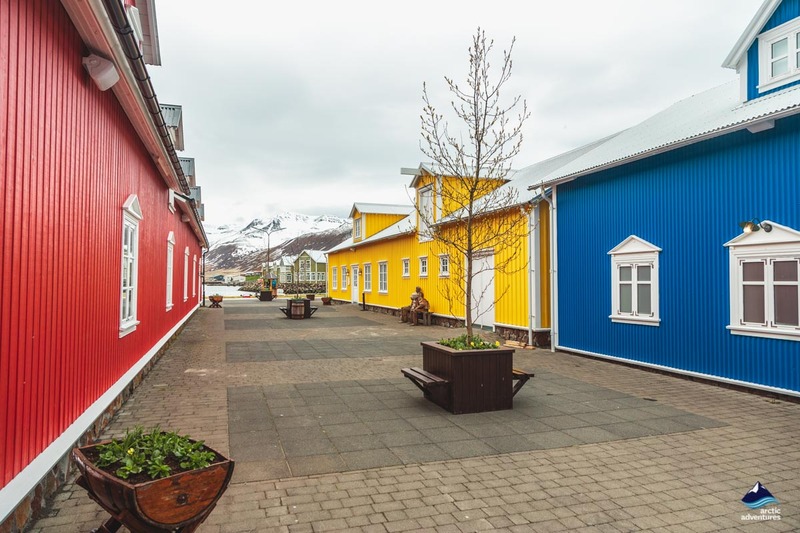 Siglufjordur is a colorful and historic fishing village in North Iceland. Renowned for its awards winning Herring Era Museum and delicious restaurants this picture perfect community is truly a must visit! 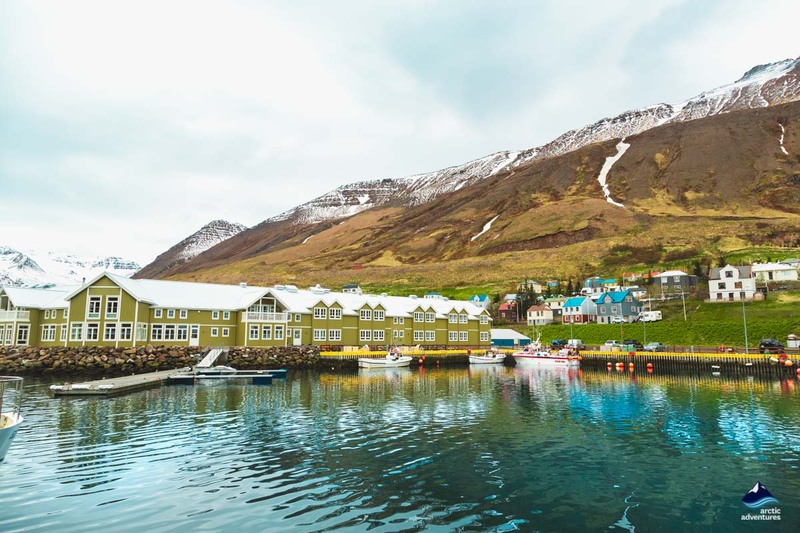 How to get to Siglufjordur? 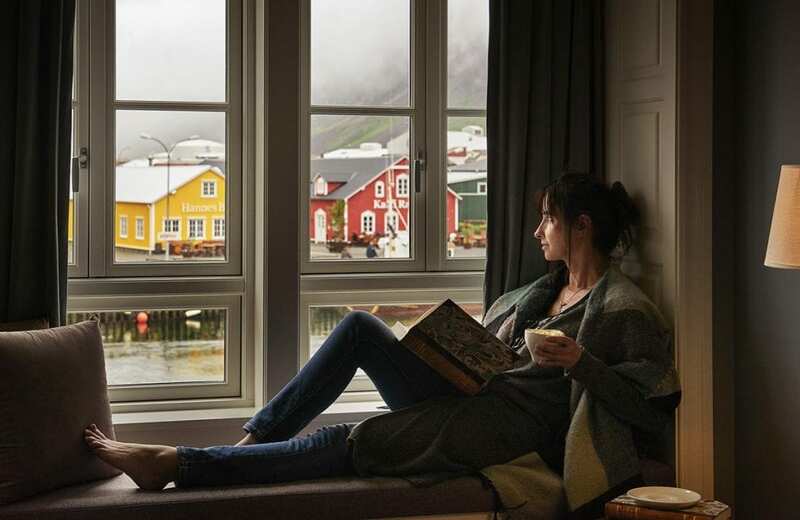 What to do at Siglufjordur? 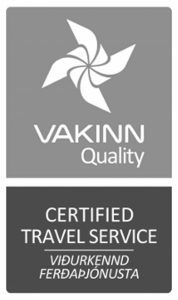 Where to stay at Siglufjörður? 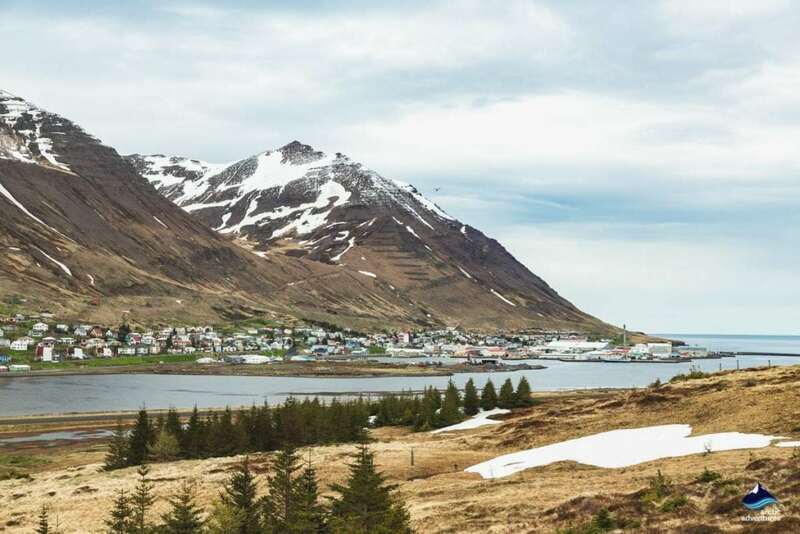 Siglufjörður is likely one of the most beautiful villages you will ever visit. With colorful corrugated iron and timber houses and the newly renovated moss green hotel by the pier, this historical gem is well worth going out of your way to explore. Once one of the most important ports in Iceland for herring it is now a cultural hub with wonderful restaurants and incredible hiking opportunities. With a population of only about 1300 people the town still manages to keep museums, a local swimming pool, a beer brewery, a sinfully yummy bakery. 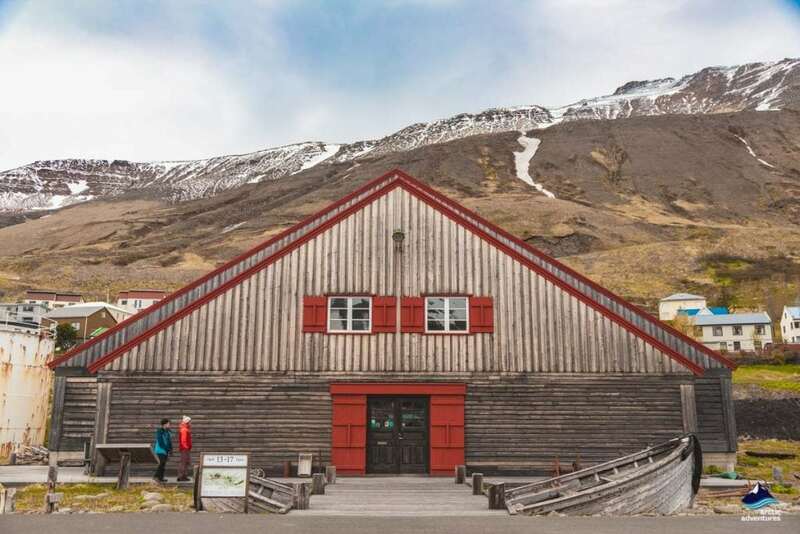 Siglufjörður’s Herring Era Museum has won the European Museum Award for its incredible displays and detailed keeping and should undoubtedly be on your Siglufjörður Bucket List. In 2010 a tunnel named Héðinsfjaraðargöng were opened up and since then access to the town has been a lot easier and more people have been able to visit the beautiful fjord. Since the opening of the tunnel, the closeby town of Ólafsfjörður and Siglufjörður have together formed the municipality of Fjallabyggð e. The Mountain Settlement. 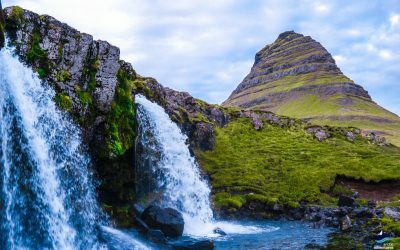 The area surrounding Siglufjordur offers endless hiking trails and opportunities to explore nature along with the most peaceful picnic spot only moments out from the fishing town. The Icelandic author Ragnar Jónsson has written a series of crime fiction novels, Dark Iceland, which take place in Siglufjordur. Those books have been translated and are very popular to read for those looking to visit. Siglufjörður experiences Midnight Sun from 9th of June until the 1st of July. Siglufjordur is located way up on the North Coast in Iceland in a narrow fjord named the same, Siglufjordur. It is one of the settlements in Iceland closest to the Arctic Circle. The nearest settlements are Ólafsfjörður (16,6 km or 10,3 mi) and Dalvík (34,4 km or 21,3 mi). There are a few ways of going about getting to Siglufjordur. Let’s go over them. Public Buses are available from Reykjavík to Akureyri (number 57) and from there you would change buses to Siglufjörður (number 78). The transfer is very easy as the bus stops at the same stop as you will catch the next one. The stop is named Hof. The bus leaves from Reykjavík at 9 am and 5:30 pm. The bus leaves from Hof, Akureyri at 8:15 am, 1:15 pm and 4:30 pm. Flying The nearest airport to Siglufjordur is at Akureyri and the flight from Reykjavik is only about 45 minutes. The drive from Akureyri to Siglufjörður is then about an hour. You can either get a rental car to catch the public bus number 78. Driving from Reykjavík to Siglufjordur should take about 4 hours and 50 minutes without stops but we can not recommend driving the route in that way. There is simply too much to see on the way. Driving out of Reykjavík you pass mt. Esja and continue on road 1 through Hvalfjarðargöng under sea level tunnel. The next settlement will be the town of Borgarnes and many stop at its bakery to grab some baked goodies for the trip. 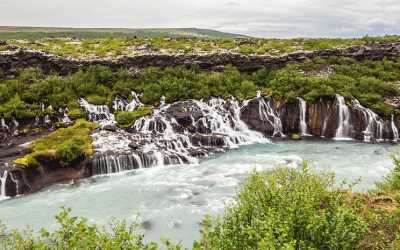 After about 2,5 hours you enter the region Húnavatnssýsla known for its seals and agriculture. 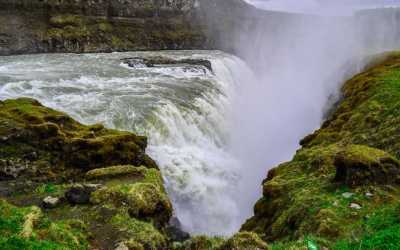 Now you take a turn to road 76 and enter the valley/fjord named Skagafjörður home to the Icelandic horse and incredible history, a good stop to make here would be at the turf museums Glaumbær! Next up is Hofsós where one of the most beautiful swimming pools in Iceland is found, why not take a dip and admire the marine views from the pool. From Hofsós you have about an hour to go before reaching Siglufjörður. 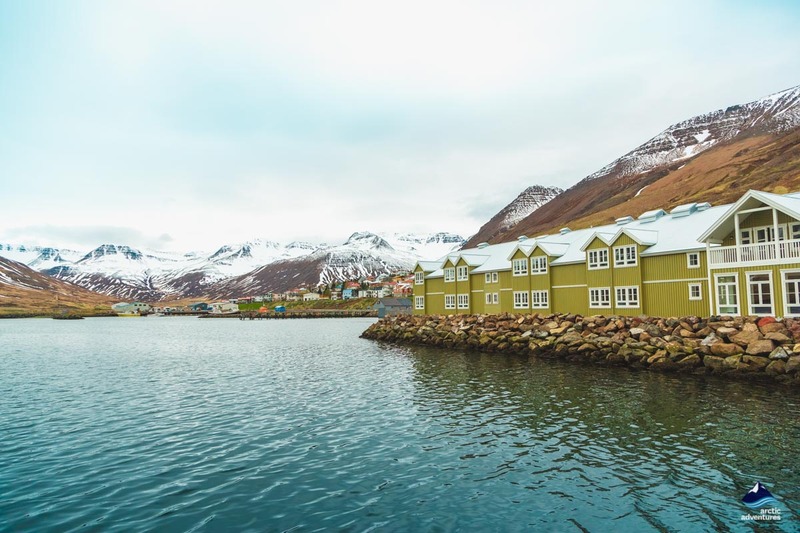 Visit the Herring Era Museum – a visit to Siglufjordur honestly isn’t complete without a visit to the award-winning Herring Era Museum, this golden age of Siglufjordur is simply too important in the town’s history and growth not to learn about it. Go for a tour at Segull 67 Beer Brewery – their brewery tour is an hour with a tasting of all their best products for a fair price of 2000 ISK. 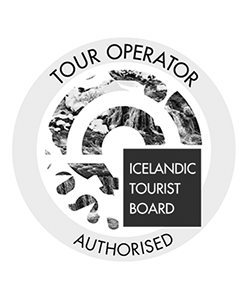 Join to hear all about these entrepreneurs who decided to open a brewery in the North of Iceland. Try some delicious local fish – you are in one of the most appealing fishing villages in Iceland and surrounded by the harbor and ocean. If there is ever a time, it’s now! Explore the Folk Music Center Museum – wondering what Icelandic Folk Music sounds like? Well, wonder no more – find out at the Folk Music Center! Test the Ski Slopes in Winter – for skiers visiting in winter, this is a must. You can easily rent the gear on site! 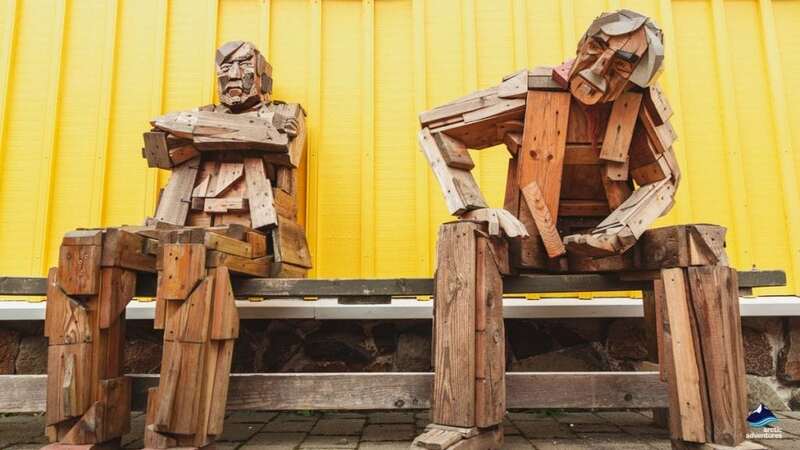 Join the party at the Folk Music Festival – on Wednesday before the 1st weekend in July an annual five-day music festival begins in town. Over 15 concerts are held during this time along with lectures and workshops on both Icelandic and foreign topics. It is a beautiful and relaxed celebration perfect for the whole family to enjoy. Where to eat at Siglufjordur? Torgið – order anything from the freshly caught fish of the day to the cheesy pizza and you are in for a treat! They also offer locally brewed beer on the tab a pleasant add on to any meal. Frida Chocolate – this truly is a surprising gem to find at Siglufjörður. Their chocolate, e it blue cheese chocolate, hot chocolate or chocolate on waffle you will not be disappointed! Siglunes – another place you wouldn’t expect to find in a village such as Siglufjordur is a delicious Moroccan restaurant but still, that’s the truth we face! It really doesn’t matter what you order. Every single thing will melt in your mouth and have you planning your next visit! Sunna at Siglo Hotel – open for breakfast, lunch and dinner and everything is presented in a beautiful way with no decrease in satisfaction once you taste their food. Delicious and traditional food with a mix of chicken and veggie options. 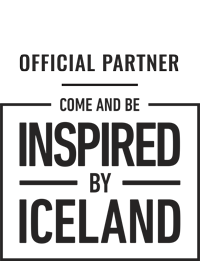 Hannes Boy – Yummy Scandinavian food with a seafood focus. Its incredibly bright yellow paint makes it hard to miss and the inside is cozy and romantic. Fresh fish, burgers, pasta, ribs and everything in between. Aðalbakarí Bakery – this is where you go to load up on the most amazing baked goods, try the kleina, snúður or kringla. Those are some of the most popular and sought after Icelandic traditional dessert. Fish & Chips – the basic fish and chip meal but made from fresh and local ingredients. A true delicacy and big portions! Harbour house – located in the most delightfully decorated setting this seafood based place is a great stop to make. Their outdoor seating is excellent for when the sun decides to shine. The campground is located right at the center of the town, next to the harbor and the main square. Facilities include running hot and cold water, electricity (800 ISK) a playground, toilets, camper van garbage disposals and washing machines (800 ISK per wash). In walking distance, you can find restaurants, a golf course and the local swimming pool! Open from the 15th of May until the 15th of September. Prices are very reasonable, 1200 ISK a night per adult and free for 16 years old and younger. Siglufjordur is one of the most snow-heavy places you can find in Iceland and this can, of course, affect road access to the town. Make sure to check the road conditions before you set off. The remote location of the town makes it an excellent spot for Northern Lights watching and visiting in winter is well worth the effort once the dark night sky gets dancing with green, purple and red colors. 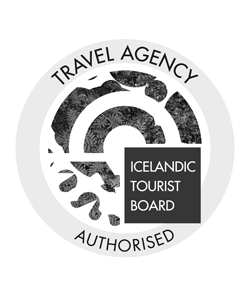 Make sure to dress warmly, not only are you in Iceland, you are in one of the northernmost settlements in the country named after ice. Trapped (Ófærð) – the Icelandic television series directed by Baltasar Kormákur starring all of Iceland’s best actors. A weather-based thrilled you can not miss. The show has the most amazing shots of the town and has now been renewed for a second season. Season one can be found on Amazon.